The two-nation theory (Urdu: دوقومی نظریہ‎ — Dō-qaumī naẓariyaa, Devanagari: दो-क़ौमी नज़रिया, Hindi: द्वि-राष्ट्र सिद्धान्त - Dvi-rashtra siddhanta, Bengali: দ্বিজাতি তত্ত্ব — Dijati totto) is the ideology that the primary identity and unifying denominator of Muslims in the South Asian subcontinent is their religion, rather than their language or ethnicity, and therefore Indian Hindus and Muslims are two distinct nations, regardless of ethnic or other commonalities. The two-nation theory was a founding principle of the Pakistan Movement (i.e. the ideology of Pakistan as a Muslim nation-state in South Asia), and the partition of India in 1947. Opposition to the theory has come from two sources. The first is the concept of a single Indian nation, of which Hindus and Muslims are two intertwined communities. This is a founding principle of the modern, officially secular, Republic of India. Even after the formation of Pakistan, debates on whether Muslims and Hindus are distinct nationalities or not continued in that country as well. 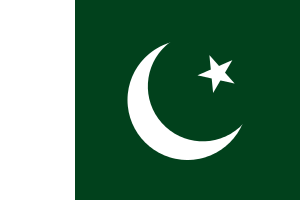 The second source of opposition is the concept that while Indians are not one nation, neither are the Muslims or Hindus of the subcontinent, and it is instead the relatively homogeneous provincial units of the subcontinent which are true nations and deserving of sovereignty; this view has been presented by the Baloch, Sindhi, and Pashtun sub-nationalities of Pakistan. According to the Pakistan studies curriculum, Muhammad bin Qasim is often referred to as the first Pakistani. While Prakash K. Singh attributes the arrival of Muhammad bin Qasim as the first step towards the creation of Pakistan. Muhammad Ali Jinnah considered the Pakistan movement to have started when the first Muslim put a foot in the Gateway of Islam. The movement for Muslim self-awakening and identity was started by the Muslim modernist and reformer Syed Ahmad Khan (1817–1898). Many Pakistanis describe him as the architect of the two-nation theory. However, the researcher Ziauddin Lahori, the author of seven books on Sir Syed, believes that it is incorrect to say that Sir Syed propounded the two-nation theory. The poet philosopher Muhammad Iqbal (1877–1938) provided the philosophical exposition and Barrister Muhammad Ali Jinnah (1871–1948) translated it into the political reality of a nation-state. Allama Iqbal's presidential address to the Muslim League on December 29, 1930 is seen by some as the first exposition of the two-nation theory in support of what would ultimately become Pakistan. The scholar Al-Biruni (973-1048) had observed, at the beginning of the eleventh century, that Hindus and Muslims differed in all matters and habits. On March 23, 1940, Jinnah made a speech in Lahore which was very similar to Al-Biruni's thesis in theme and tone. Jinnah stated that Hindus and Muslims belonged to two different religious philosophies, with different social customs and literature, with no intermarriage and based on conflicting ideas and concepts. Their outlook on life and of life was different and despite 1000 years of history, the relations between the Hindus and Muslims could not attain the level of cordiality. The theory asserted that India was not a nation. 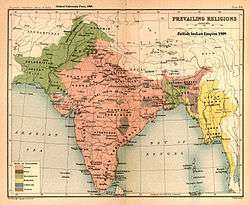 It also asserted that Indian Hindus and Indian Muslims were each a nation, despite great variations in language, culture and ethnicity within each of those groups. To counter critics who said that a community of radically varying ethnicities and languages who were territorially intertwined with other communities could not be a nation, the theory said that the concept of nation in the East was different from that in the West. In the East, religion was "a complete social order which affects all the activities in life" and "where the allegiance of people is divided on the basis of religion, the idea of territorial nationalism has never succeeded." In his 1945 book Pakistan, or The Partition of India, Indian statesman and Buddhist Bhimrao Ramji Ambedkar wrote a sub-chapter titled "If Muslims truly and deeply desire Pakistan, their choice ought to be accepted". He asserted that, if the Muslims were bent on the creation of Pakistan, the demand should be conceded in the interest of the safety of India. He asks whether Muslims in the army could be trusted to defend India in the event of Muslims invading India or in the case of a Muslim rebellion. "[W]hom would the Indian Muslims in the army side with?" he questioned. According to him, the assumption that Hindus and Muslims could live under one state if they were distinct nations was but "an empty sermon, a mad project, to which no sane man would agree". Khan Abdul Ghaffar Khan, also known as "Frontier Gandhi" or "Sarhadi Gandhi", was not convinced by the two-nation theory and wanted a single united India as home for both Hindus and Muslims. He was from Khyber Pakhtunkhwa province, in present-day Pakistan. He believed that the partition would be harmful to the Muslims of the subcontinent. Post partition, Ghaffar Khan was a strong advocate of the Pashtunistan movement. 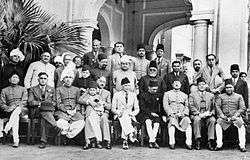 According to Khaliquzzaman, on August 1, 1947, Jinnah invited the Muslim League members of India's constituent assembly to a farewell meeting at his Delhi house. 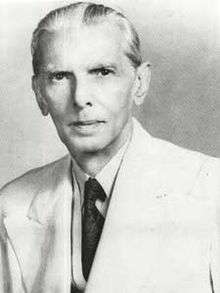 In his August 11, 1947 speech, Jinnah had spoken of composite Pakistani nationalism, effectively negating the faith-based nationalism that he had advocated in his speech of March 22, 1940. In his August 11 speech, he said that non-Muslims would be equal citizens of Pakistan and that there would be no discrimination against them. "You may belong to any religion or caste or creed that has nothing to do with the business of the state." 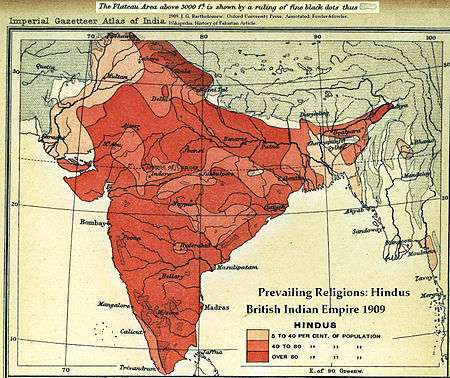 The theory has faced skepticism because Muslims did not entirely separate from Hindus and about one-third of all Muslims continued to live in post-partition India as Indian citizens alongside a much larger Hindu majority. The subsequent partition of Pakistan itself into the present-day nations of Pakistan and Bangladesh was cited as proof both that Muslims did not constitute one nation and that religion was not a defining factor for nationhood. The emergence of a sense of identity that is pan-Islamic rather than Pakistani has been defended as consistent with the founding ideology of Pakistan and the concept that "Islam itself is a nationality," while the commonly-held notion of "nationality, to Muslims, is like idol worship." 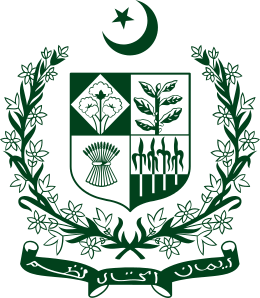 While some have emphasized that promoting the primacy of a pan-Islamic identity (over all other identities) is essential to maintaining a distinctiveness from India and preventing national "collapse", others have argued that the Two Nation Theory has served its purpose in "midwifing" Pakistan into existence and should now be discarded to allow Pakistan to emerge as a normal nation-state. Prominent political commentator Irfan Husain, in his column in Dawn, observed that it has now become an “impossible and exceedingly boring task of defending a defunct theory". However some Pakistanis, including a retired Pakistani brigadier, Shaukat Qadir, believe that the theory could only be disproved with the reunification of independent Bangladesh, and Republic of India. According to Sharif al Mujahid, arguably the preeminent authority on Jinnah in Pakistan, the two-nation theory was relevant only in the pre-1947 subcontinental context. He is of the opinion that the creation of Pakistan rendered it obsolete because the two nations had transformed themselves into Indian and Pakistani nations. The columnist Muqtida Mansoor has quoted Farooq Sattar, a prominent leader of the MQM, as saying that his party did not accept the two-nation theory. "Even if there was such a theory, it has sunk in the Bay of Bengal." In post-independence India, the two-nation theory has helped advance the cause of groups seeking to identify a "Hindu national culture" as the core identification of an Indian. This allows the acknowledgement of the common ethnicity of Hindus and Muslims while requiring that all adopt a Hindu identity in order to be truly Indian. From the Hindu nationalist perspective, this concedes the ethnic reality that Indian Muslims are "flesh of our flesh and blood of our blood" but still presses for an officially-recognized equation of national and religious identity, i.e., that "an Indian is a Hindu." The theory has provided evidence to the allegation that Indian Muslims "cannot be loyal citizens of India" or any other non-Muslim nation, and are "always capable and ready to perform traitorous acts". Constitutionally, India rejects the two-nation theory and regards Indian Muslims as equal citizens. 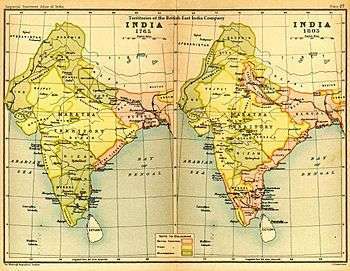 From the official Indian perspective, the partition is regarded as a tactical necessity to rid the subcontinent of British rule rather than denoting acceptance of the theory. 1 2 "Two-Nation Theory Exists". Pakistan Times. Archived from the original on November 11, 2007. ↑ "History books contain major distortions". Daily Times. Archived from the original on June 6, 2011. ↑ Prakash K. Singh (2008). Encyclopaedia on Jinnah. 5. Anmol Publications. p. 331. ISBN 978-8126137794. 1 2 Ambedkar, Bhimrao Ramji (1945). Pakistan or the Partition of India. Mumbai: Thackers. ↑ Official website, Iqbal Academy, Lahore. "Iqbal and the Pakistan Movement". Retrieved 2006-04-22. ↑ Official website, Nazaria-e-Pakistan Foundation. "Excerpt from the presidential address delivered Muhammad Ali Jinnah in Lahore on March 22, 1940". Archived from the original on 2006-06-28. Retrieved 2006-04-22. ↑ Prof. Prasoon (1 January 2010). My Letters.... M.K.Gandhi. Pustak Mahal. p. 120. ISBN 978-81-223-1109-9. ↑ David Arnold (17 June 2014). Gandhi. Taylor & Francis. p. 170. ISBN 978-1-317-88234-3. ↑ Mridula Nath Chakraborty (26 March 2014). Being Bengali: At Home and in the World. Routledge. p. 203. ISBN 978-1-317-81890-8. ↑ Anil Chandra Banerjee (1981). Two Nations: The Philosophy of Muslim Nationalism. Concept Publishing Company. p. 236. GGKEY:HJDP3TYZJLW. ↑ Bhikhu Parekh (November 25, 1991). Gandhi’s Political Philosophy: A Critical Examination. Palgrave Macmillan UK. p. 178. ISBN 978-1-349-12242-4. ↑ Two Nation Theory Archived August 31, 2006, at the Wayback Machine. ↑ Faruqui, Ahmad (2005-03-19). "Jinnah's unfulfilled vision: The Idea of Pakistan by Stephen Cohen". Asia Times. Pakistan. Retrieved 2009-10-06. ↑ Aarti Tikoo Singh (19 April 2013). "Tarek Fatah: India is the only country where Muslims exert influence without fear". The Times of India. Retrieved 29 April 2016. ↑ "Majority Pakistanis think separation from India was justified: Gallup poll". Express Tribune. 12 September 2011. Retrieved 28 December 2011. 1 2 "India and Partition". Daily Times. Story of Pakistan website, Jin Technologies (Pvt) Limited. "The Ideology of Pakistan: Two-Nation Theory". Retrieved 2006-04-22.